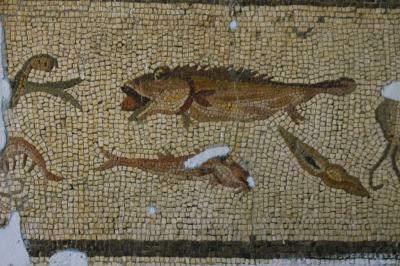 This is a small mosaic of a set with fish, ducks and lotus flowers, inv. 898-901. From Harbiye, fifth century AD.